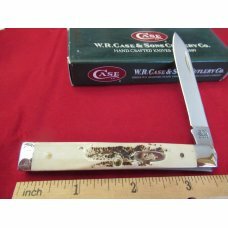 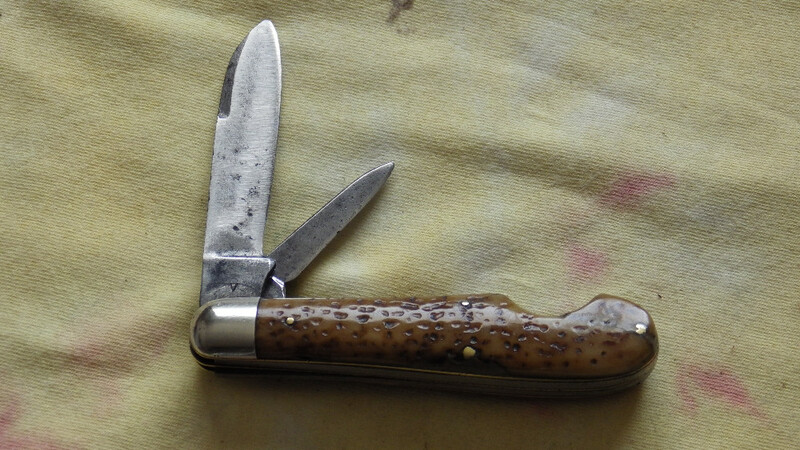 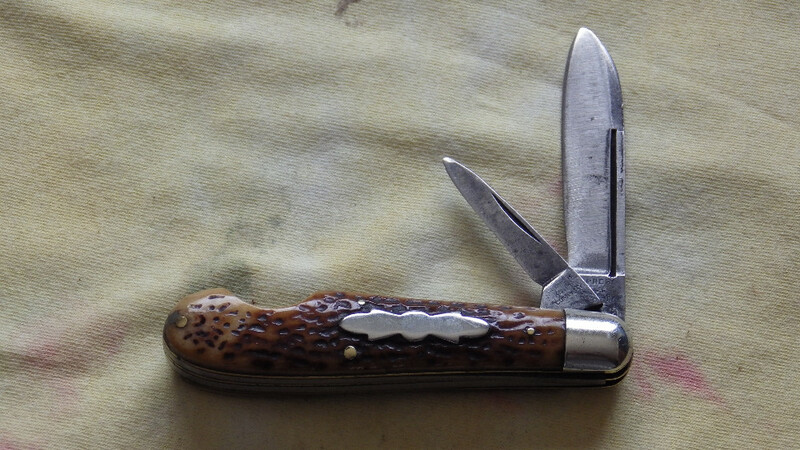 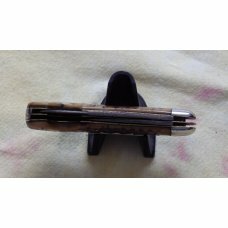 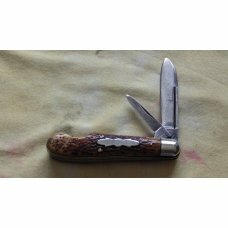 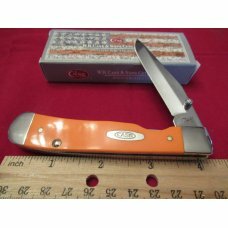 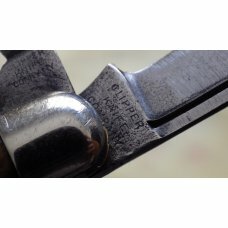 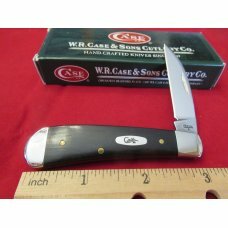 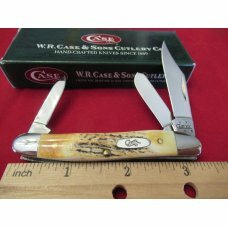 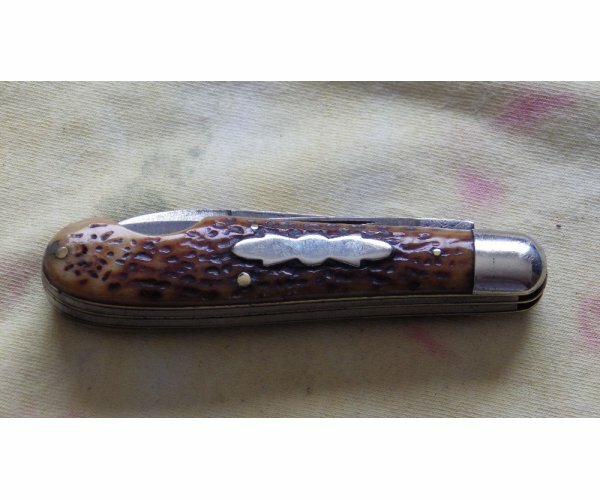 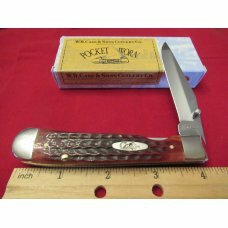 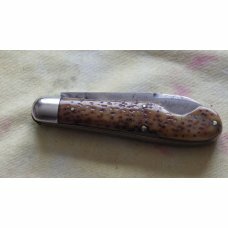 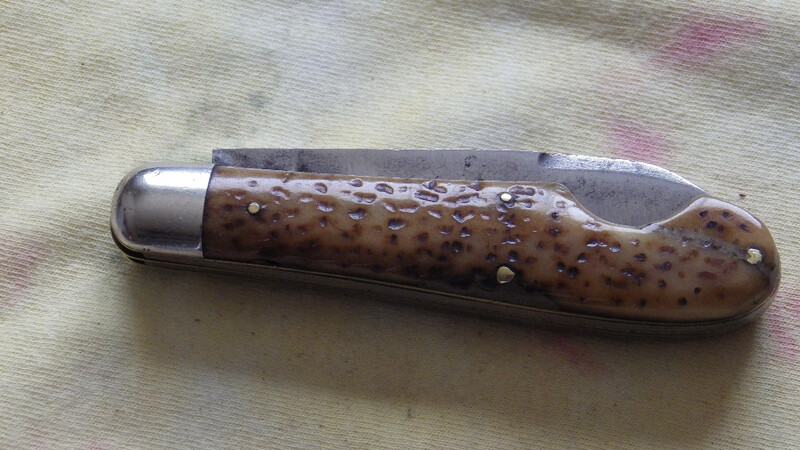 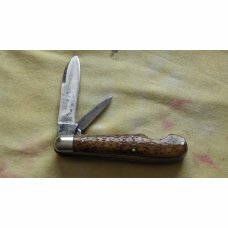 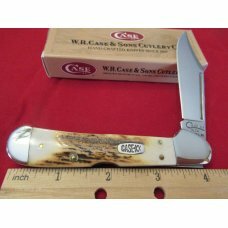 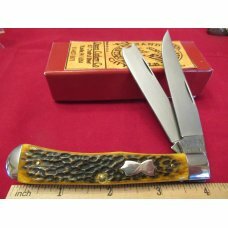 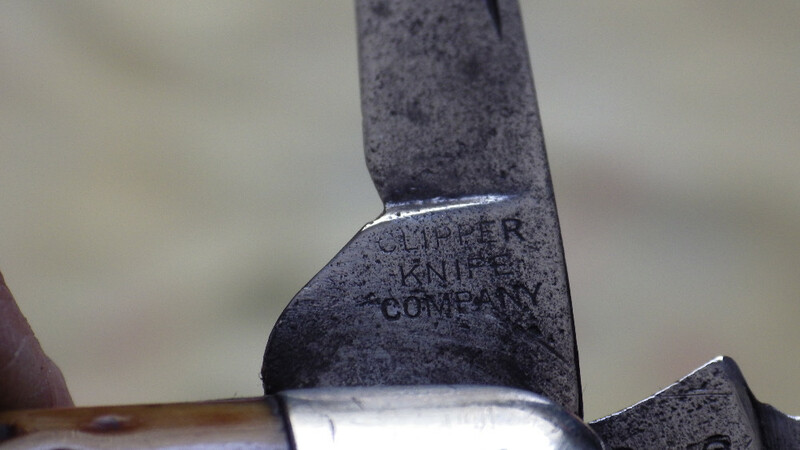 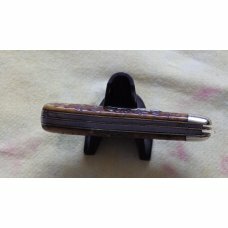 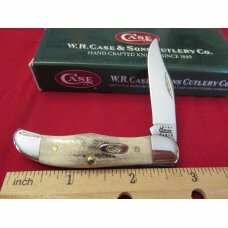 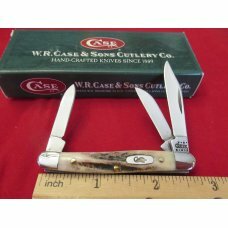 This a vintage Clipper Knife Co. Easy Opener 2 blade jask withbrown jigged bone handles. 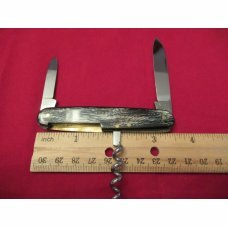 The knife is 3 1/2 inches closed. 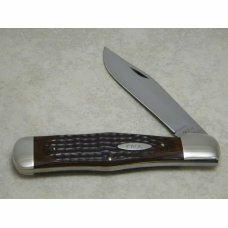 The master blade is spear and has some (soft)snap in both directions with no noticeable side play. 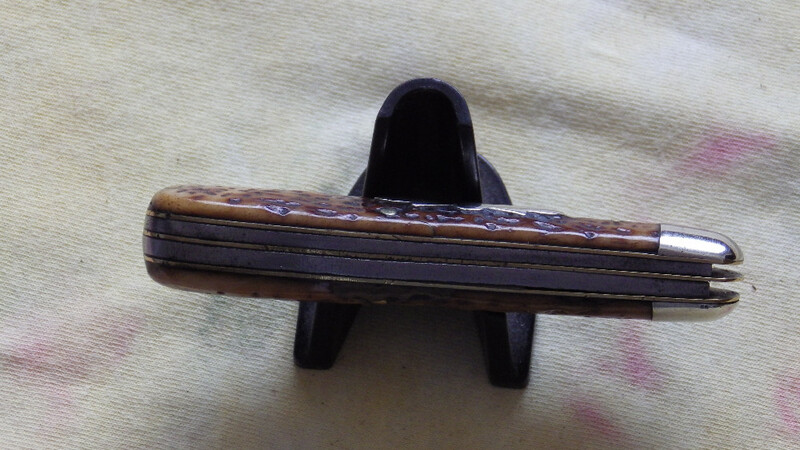 With half stop. 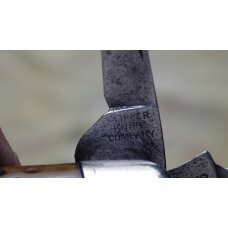 Blade has been used hard. 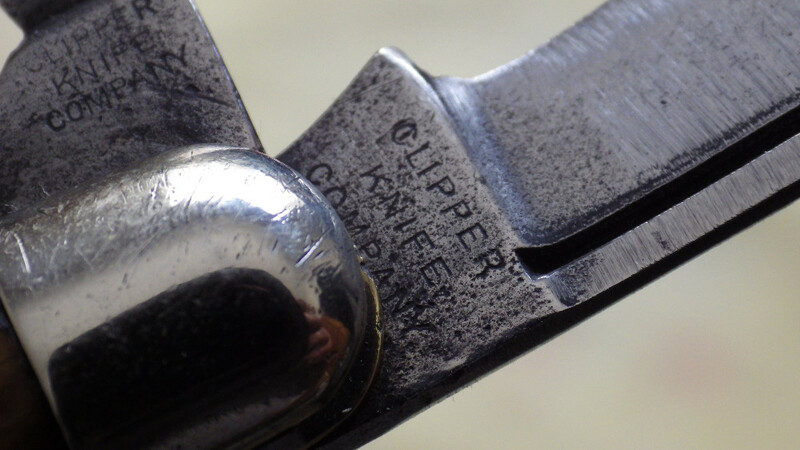 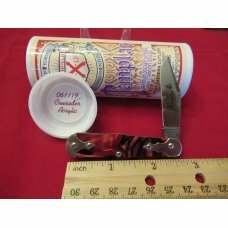 The tang is stamper Clipper Knife Co on the mark side and a v on the pile side. 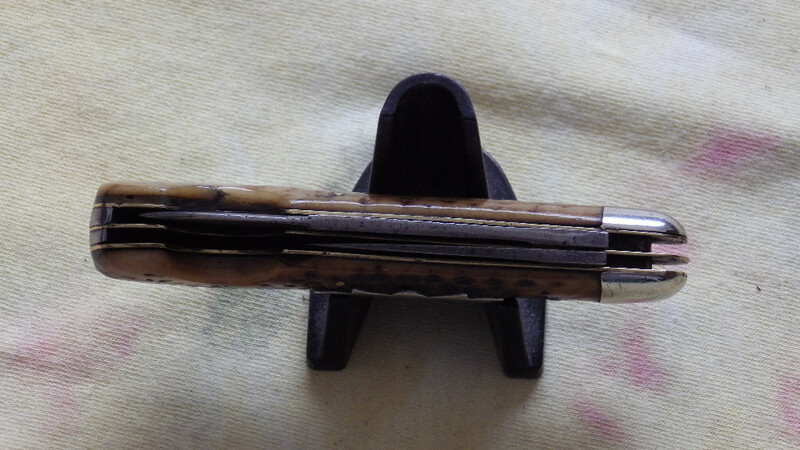 The pen blade is in about the same condition as the master with a crisper snap to it. 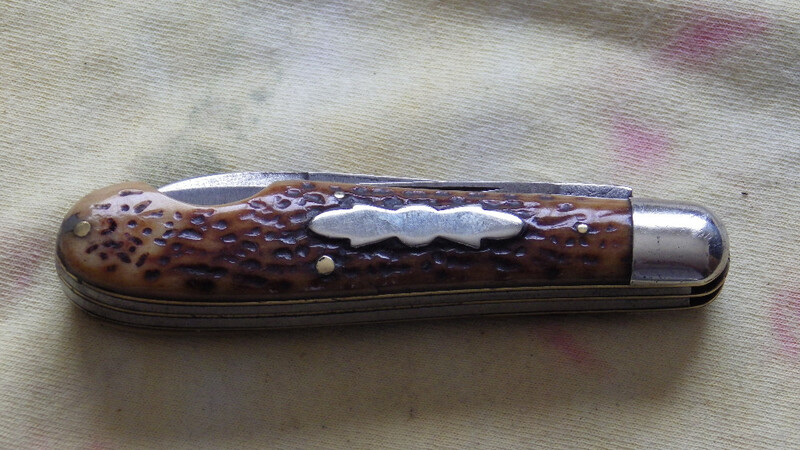 The bone handles have been patched in 3 places and there is pin crack near the rocker pin on the mark side.